In celebration of what would be George Harrison's 75th birthday, Concert for George, the movie of the tribute concert held one year after Harrison's passing, is being re-released in a variety of formats including a commemorative vinyl boxed set. To mark this anniversary, Genesis is delighted to offer a small number of Concert for George books. Genesis receives many enquiries about this fully subscribed edition, and luckily a small quantity has come back into stock from a trusted Genesis distributor, Hedleys Booksellers. 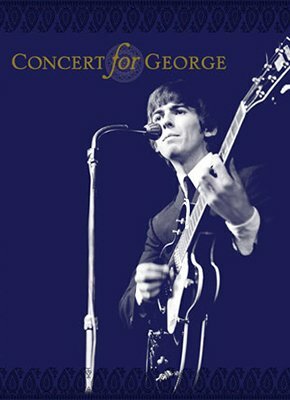 To secure one of these very limited copies of Concert for George, click here to order online while stock remains available.